We work with a variety of local DPA programs (Down Payment Assistance) including Neighborworks and Newcap. These are grants for things like down payments and closing costs. Typically they are income sensitive, we have multiple outlets for down payment assistance because we understand not everyone has a large down payment when buying their first home. You can find contact information for Newcap and Neighborworks in the Local Resources section of this website. Neighborworks is a non-profit home assistance entity that assists local individuals and families attain home ownership with grants and education. You can also learn more Here. Down payment assistance comes in the forms of grants that are applied to a borrowers down payment and closing cost at closing. Different programs provide different grants, they are income sensitive; meaning if your house hold income exceeds a certain amount you become ineligible for the program. What Can I do If I Do Not Qualify For a Down Payment Assistance Program? There are other ways to eliminate the down payment requirement, certain loan options such as WHEDA are available. This loan has a higher income cutoff than most neighborworks and newcap programs, meaning the combined household income is considerably higher, qualifying more people. Do I have To Pay Back Neighborworks or NewCap? 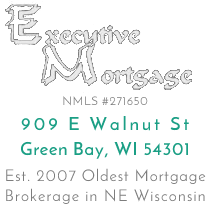 Each program is unique, some require that the grant be paid back when you sell or refinance the house, others do not require it as long as you stay in the home for a predetermined period of time. Usually 5 years. How Would I Apply For Down Payment Assistance?